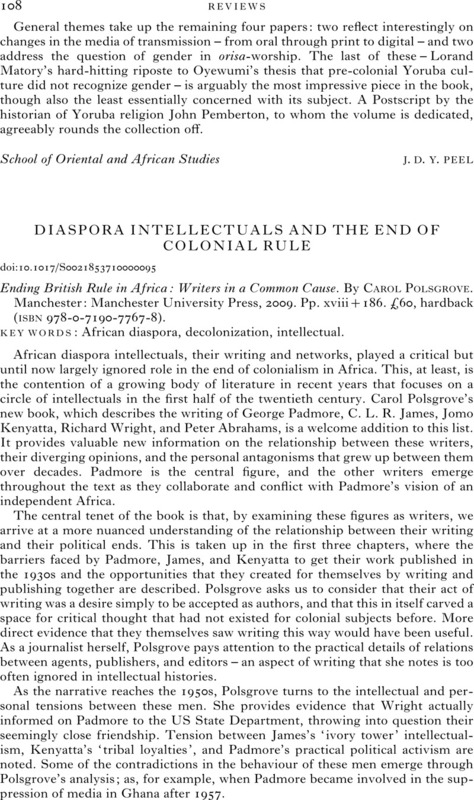 DIASPORA INTELLECTUALS AND THE END OF COLONIAL RULE - Ending British Rule in Africa: Writers in a Common Cause. By Carol Polsgrove. Manchester: Manchester University Press, 2009. Pp. xviii+186. £60, hardback (isbn978-0-7190-7767-8).